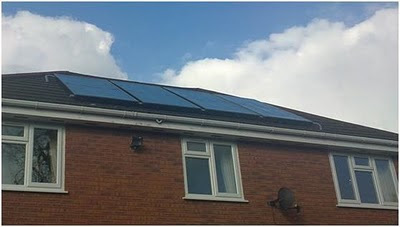 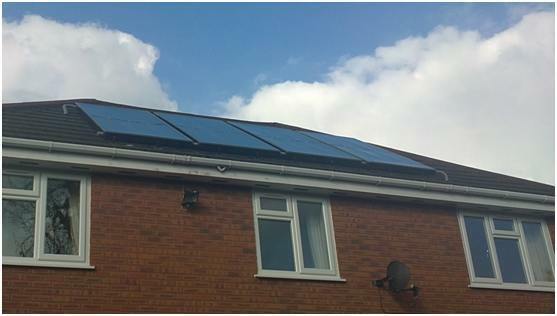 This is a very nicely designed and built system by Neil in the UK. 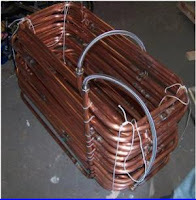 While the system is modeled after our $1K system, Neil has included a number of unique features including a fiberglass tank liner, a very nice large copper coil heat exchanger, integration with a combi boiler system, and a unique design for the collector absorber plate. 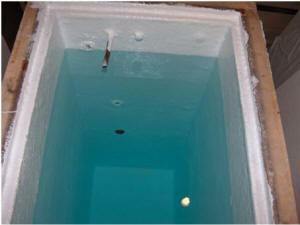 The tank is tall with a small footprint in order to take up less floor space. 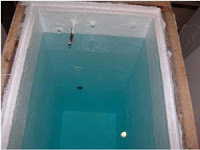 Instead of using an EPDM membrane for the waterproof liner, Neil used several layers of fiberglass to provide the waterproof lining. 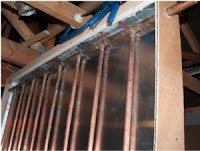 The collector absorber plate is a unique design that uses a single sheet of aluminum that all of the riser tubes are thermally bonded to. 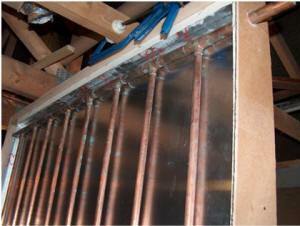 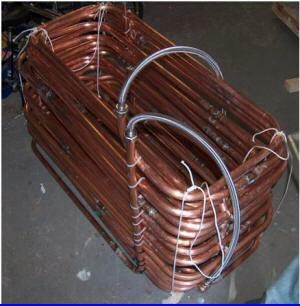 Neil made a very compact and efficient single pass heat exchanger from copper tubing as shown in this picture.